FORTNITE fans get in on the action, while it's hot!! This month I've teamed up with my friends over at TV STORE ONLINE to bring all FORTNITE fans a fun, merch giveaway. but let me just say how I would love to sport one those Cuddle Team Leader Ts myself hehe. 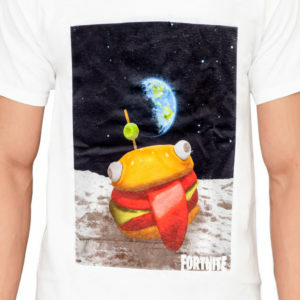 Let's take a look at the Fortnite T-shirts we have up for grabs in this bad-@$% giveaway, shall we? With bright colors and a retro-esq feel, these T's are perfect for the Gamer who wants to add a burst of fun to their Summer wardrobe! 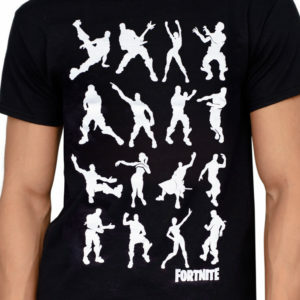 T-Shirts are Offically-Licensed Fortnite, 100% Cotton and ready to ship right to your door! 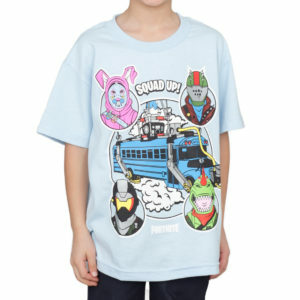 * Please note "Bus Crew" is available in youth size only. Which shirt will YOU choose? Can't wait for the giveaway to end to get your hands on one of these awesome t-shirts? You can always go ahead and SHOP NOW! They are primed and ready to shop 24/7, with a huge variety of clothing and accessories from every genre and era! Fortnite won't be the only section you stop at while "adding to cart"! Just follow the simple instructions and you're in! 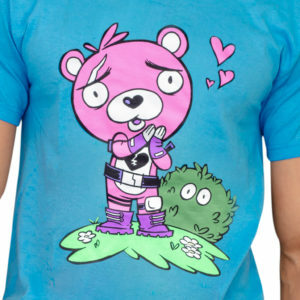 My daughter would really love to have the Fortnite Cuddle Team Leader Love Adult T-shirt! I am loving the Dance, Dance one. Cuddle team leader! Too cute!